“Lowfi minimalistic riot music for quiet people,” so says Pine’s facebook description. That has to make you smile, particularly when these clever clogs make mighty fine music too. 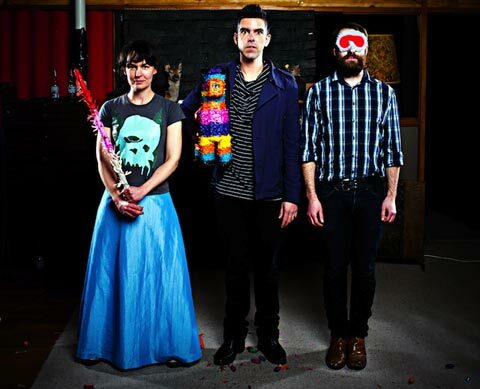 Pine have recorded music since 2001 when Speeding their first EP was released, this was followed by the album Longplayer in 2002, the follow-up album Akira Sunrise in 2004 and the EP Twelve Hour Collision in 2007. Their record label, Arch Hill, wrote of their last album Akira Sunrise, as retaining: “much of the low-key chime and melodic charm of the bands previous releases, but there are also some new and additional sounds… a more fuzzed up hypnotic bass, loops, shimmering guitars and even a few songs longer than the previously favored two-minute pop snapshot.” With their third album out – Books and Magazines – can similar sentiments be used? Sure, add to the mix though some languid and lilting drums and bass, chiming guitars that chip in and out, vocals that sweep along songs of love and loss saying, ‘I’m right here,’ and all done with a reverby, slightly melancholy air. Sweet. You can download Books and Magazines for free at Bandcamp. There is also a limited edition vinyl pressing available. 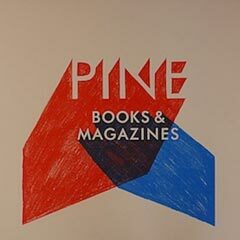 Pine / Arch Hill have tagged Books and Magazines so: alt-country, arch hill, free range, arch hill recordings, books and magazines, pine, alternative, folktronica, indie, Auckland. You can extend the Pine family with these free downloads at the Arch Hill website… bless ’em. This entry was posted in Music and tagged Aaron Beehre, Arch Hill Records, Books and Magazines Album, Christchurch music, Hannah Beehre, New Zealand indie bands, Pine, Stephen McCarthy. Bookmark the permalink.